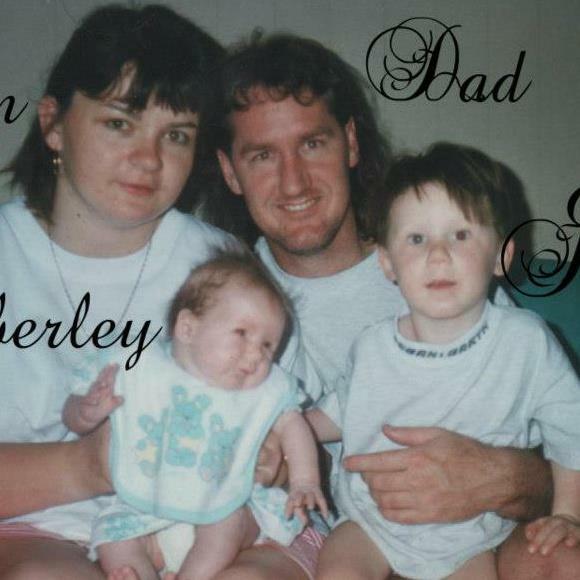 Jesse's picture, and his family's picture are provided courtesy of his mother, Renay, and posted with her permission. Jesse Lee was born on November 12, 1991. He was a happy, funny child, who enjoyed making others laugh, and would say and do funny things for that purpose. He had a sense of humor that was sometimes on the cheeky side, said friends of his mom, Renay – like his mom. He was “a very caring, loving, kind kid who wouldn’t hurt anyone or anything”. His family was close, loving, warm. He had many friends. 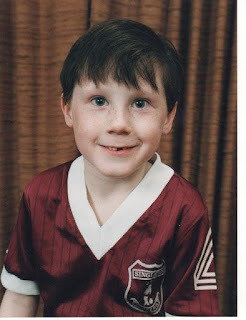 Jesse had just graduated from third grade and was starting his fourth. He was healthy, active, charming. He had everything waiting for him. Nothing prepared Renay for what was about to happen, and the speed with which it happened left family and friends reeling. Jesse came home from school on Monday, August 27, 2001 with a bad headache. Almost as bad as a migraine, Renay remembers. He had no fever, but he felt horrible. He started vomiting heavily that night and continued through the next day, Tuesday. He rested as best his could, with his mom watching his fluid intake and keeping him as comfortable as possible. Worried, Renay slept in his room for the next few days, watching over him. On Wednesday, when things were no better, Jesse’s parents took him to the doctor. The doctor prescribed antibiotics. Later that day, however, they noticed Jesse had spots over his chest and belly, signs of chicken pox. And still, no fever. At this point, Jesse managed to eat a bit. Worried, Renay kept a constant eye on him, and made sure he was drinking enough. Jesse was no better on Thursday, except that he was now dry retching, instead of actually vomiting. He had no fever, but he was in bad shape. His parents took him to the doctor again, and this time he was sent immediately to the local hospital, the first of three hospitals he went through. Renay describes the situation in that hospital as “hectic”; the nurses were extremely busy, and Jesse was getting very little attention. In the night between Thursday and Friday, breathing became harder for Jesse. He was struggling for air. The hospital gave him oxygen, and X-rayed his chest. That ‘s when they discovered he had a bad case of pneumonia. He was covered in chicken pox lesions at this point; Renay says, “they went internally and caused pneumonia”. The local hospital concluded that he needed treatment beyond what they could give him, and at 7:30 pm sent him to another hospital. Renay dropped Kimberley at her grandparents house and rushed over, getting there around 10:30 PM. Renay is not sure why – understandably, that was not her focus at that point – but that hospital, too, concluded that they could not treat Jesse and arranged for him to be sent to an even more specialized hospital in Newcastle. That made three hospitals in less than 48 hours. In the hospital in Newcastle the Doctors fought for Jesse’s life. Still in a coma, he was put on several kinds of drugs, and hooked to numerous tubes. But by this time, says Renay, it was already too late. While Jesse was fighting for his life, his sister Kimberley, who was brought to Newcastle to say her own goodbyes, was taken downstairs and given a shot to protect her against chicken pox – not the full vaccine, says Renay, which she did not get until December, but something to protect her. Luckily, she did not catch chicken pox. Jesse left the world just before midnight on Saturday, September 1, 2001. He was not yet ten years old. Before that he was read the last rites twice. The Chaplain sang hymn to him. Renay said: “The Chaplain was wonderful”. Renay asked him to officiate in the funeral, which he did. The family was in shock. The impact on the community was also staggering. Chicken pox. A common childhood disease. Who would believe? Who could believe? And Jesse was gone, leaving a hole in the hearts of his parents and his little sister and the many other people who knew and loved him, who were now, says Renay, “shattered”. It is twelve years now since Jesse’s death. Renay and Paul are brave people; they are living on, working, functioning, taking care of Kimberley, Jesse’s young sister, and Renay is fighting to protect other children by raising awareness of the dangers of vaccine preventable diseases. But it still hurts, every day. Renay says: “I miss him so much. It’s true what they say, that the good die young. People have no idea what we go through every day". Renay and I are writing this for two reasons. First, to tell Jesse’s story. Jesse deserves to have his story told. We want to remind those who knew him of the wonderful boy lost; and to tell those who did not of who he was and what happened to him. Second, to warn other parents. Chicken pox is often a mild disease. But you can’t count on it. Complications can happen. Yes, it can even kill. Being healthy is no guarantee. There is no way to predict how it will affect the individual child. And it is preventable. We have a safe vaccine with demonstrated long term effectiveness. Protect your children. Acknowledgements: I am grateful to Renay Newman for sharing her story with me, introducing me to Jesse, and reading drafts and correcting details; Thank you to Alice Warning Wasney and Clara Obscura for their advice, corrections and support. All errors are, of course, my own. Wow!! I'm so glad my children are vaccinated for it. I am very sorry for their loss and will be praying for them. On another note, what is your picture at the top of your page?? 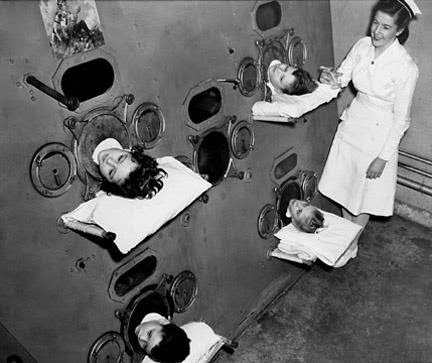 It is a communal iron lung. It held several children. I just came across this post reading an article about the chicken pox vaccine. I am in tears. This is almost exactly what happened to my brother in 1983. He was 4 years old. He got sick with the chicken pox, which developed into pneumonia, and passed away. This all happened in a week. I now have 3 children of my own and they are all vaccinated. WoW I wish I had been able to make it! Unfortunately our lives have been made so challenging because of my son's needs, such a trip is not possible at this time. Thanks to everyone who supported and worked so hard to represent us all! So if you want more info about this topic then visit here. The loss of a child is a pain that no parent should ever have to go through. I am terribly sorry for your loss. I am also terribly sorry for every child who ever was injured or killed by vaccines causing damage that the inserts themselves state are possible reactions. There are millions of parents who have children who were permanently injured/disabled or died soon after. There is no guarantee that vaccines work and there is no recourse if a vaccine kills your child- in the US at least, since the vaccine manufacturers are immune to lawsuits for vaccine damage since 1986. Make the choice you feel is best for you, but know that a vaccine may or may not have saved Jesse and it also may or may not have killed him. 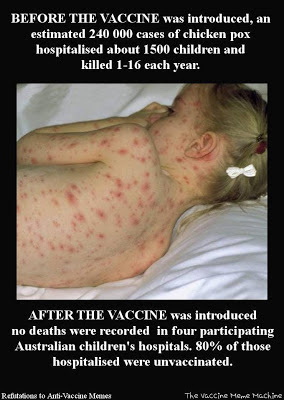 Deaths from chickenpox is very very rare(It happens but usually it is about 3 in 1,000,000) but reactions from the vaccine are more common that most know. Bless you all and may you be at peace. It's sad when anyone died. But serious harms from vaccines are extremely rare, and deaths more so. There are no millions of children permanently disabled or dead after that. Actually there are millions of children injured by vaccines when you factor in things like auto immune disorders, which have skyrocketed in children in the past 30 years. And for something as normally mild as chicken pox at most, with modern medicine, 6 out of 1 million people die from it a year. It was normally less than 3 if you check historic database info. Yes, if you count everything bad in the world, including things that vaccines don't cause, you can get to big numbers. Of course, blaming vaccines for those harm is incorrect. Chicken pox does no kill often, but it can kill. The chicken pox vaccine, on the other hand, is extremely safe. My daughter has had chicken pox twice. The last time the doctor told us that it doesn't matter how many times you vaccinate against chicken pox, you can still get it. I'm sorry to hear that. The chicken pox vaccine is 70-90% effective against getting the disease at all, and 90-100% against a severe case (like ones that can kill you). Note that your daughter seems to be one of the rare people who do not develop natural immunity to the disease, either. Sadly, some people die of diseases. Vaccines do not prevent these. Far more people die from injury from the vaccine than of the disease in developed countries. That's very inaccurate. The vaccine is not the same as getting chicken pox. It's an attenuated - weakened - vaccine. While it can rarely shed, it sheds only when you have open lesions from the vaccine, and rarely at that - there are very few known cases. And no, the vaccine does not lead to getting chicken pox multiple times, and reduces the likelihood of getting shingles, it does not increase it. Vaccines certainly prevent diseases - that's why the incidence of chicken pox dropped so dramatically. And can you point to credible evidence of any deaths caused by the chicken pox vaccine? Meningococcal: Stalker of our young.